Client Appreciation Night a Success! 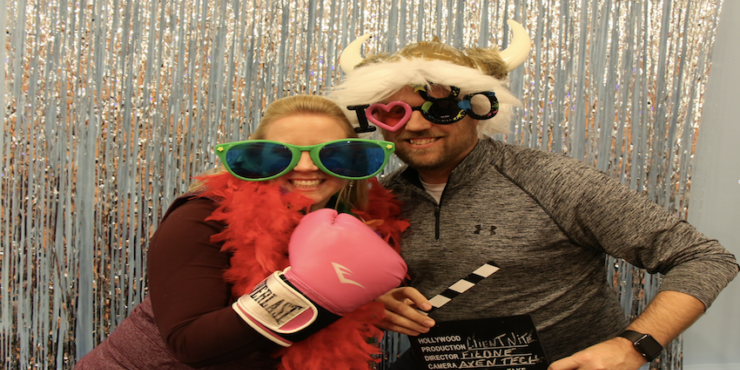 Fun was had by all at FitOne's Client Appreciation Night Thursday, March 16th! FitOne supported local business' Grape and Bean and Hank's Pasta Bar for some good wine and good eats! Clients sipped, munched and got decked out in costumes to participate in FitOne's photo booth! Raffles, prizes and trainer trivia showcased the evening as FitOne expressed their gratitude for the support they receive from their clients.